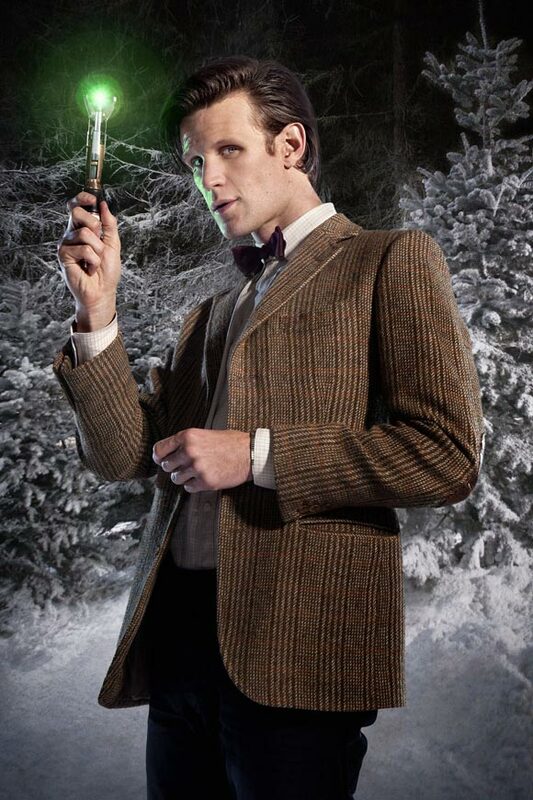 It’s Christmas Eve, 1938, when Madge Arwell comes to the aid of an injured Spaceman Angel as she cycles home, in this year’s Doctor Who Christmas Special, starring Matt Smith as the Doctor. He promises to repay her kindness – all she has to do is make a wish. Three years later, a devastated Madge escapes war-torn London with her two children for a dilapidated house in Dorset. She is crippled with grief at the news her husband has been lost over the channel, but determined to give Lily and Cyril the best Christmas ever. Madge Arwell is played by Claire Skinner, Lily Arwell by Holly Earl and Cyril Arwell by Maurice Cole. Adam is at calverley parkside primary school and I am too!!!!!!!!!!!!!!!!!!!!!!!!!!!!!!!!!! this year xmas special sounds fun.i hope its a big improvement from last years rubbish.that was the worst one ever.i loved voyage of the damned and end of time.but then again david was in them both(besotted with him lol! !.so looking forward to xmas episode,been a fan since i were only two yrs,so parents say,still am big tym and my 5yr old is now too lol.HAPPY 48 BIRTHDAY DOC,hope theres lots more years to come yet. By ther way, tht last comment made here, was made by me, not anonymous. I thought that “the end of time” was one of the best specials alongside the “next doctor”. I also think that these episodes and ” the christmas invasion” were better than “a christmas caral”. I didn’t think they could possibly make it any more christmassier than they had done last year with “Dr Who: a Christmas Charol” , but they said it would be ! I didn’t like it much either. My opinion is that “a christmas carol” was average story and the worst christmas special, right next to “voyage of the damned”. Happy birthday Doctor and many more years to come cant beleave its been 48 years you dont look a year over 900.
and happy 48th birthday to Doctor Who !!!!!!!!!!! I can’t say I liked A Christmas Carol, fingers crossed this is better. Can’t wait for this years special!